Young people are our future. The Concordia Foundation’s Young Audiences projects are designed to give children from underprivileged backgrounds the chance to interact with music and the arts; a chance that these children may not have had otherwise. Concordia takes music into schools in diverse London Boroughs, as well as further afield in Nairobi, Hanoi, Shanghai, Caux, Havana, Sienna, Budapest and orphanages in Romania. By doing so it aims to bridge cultural gaps and build children’s confidence, replacing fear and mistrust with joy and acceptance. 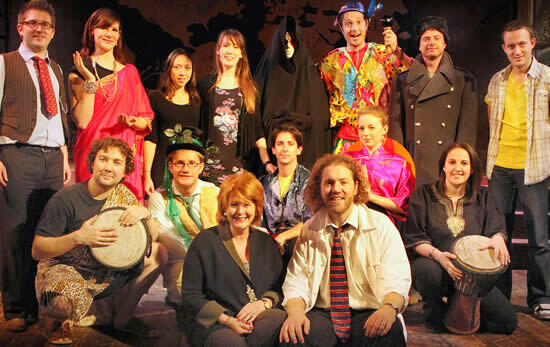 Concordia strives to teach Young Audiences about real-world concepts without sacrificing humour and entertainment. Please help Concordia support and mentor young people through the arts, where the strong can help the weak and the weak can touch the hearts of the strong to make this a more compassionate world for future generations. Join us as we strive to encourage excellence and friendship and continue Building Bridges through Music and the Arts.